Summer is over and school is back in session, but bargains are just heating up for certain items. In the market for a new car or considering an early fall vacation? Now is definitely the time to buy. Thinking of purchasing a new TV to celebrate the return of football? You may want to wait. Flowers and plants: Labor Day marks the unofficial end of summer, which means the days of blooming flowers are nearing an end, as well. Nurseries will be looking to move any remaining inventory before the cold hits, so look for buy-one-get-one free deals, as well as discounts ranging from 20% up to 75% off. 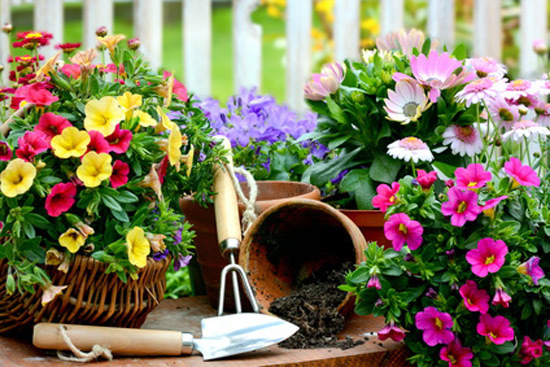 Did you know: September isn’t just a great time to buy flowers; it’s also a great time to plant them. Most people plant in the spring ahead of the high temperatures and abundant sun in the summer months, but roots systems don’t really start to expand until the fall. Plant low maintenance perennials now, and you’ll get to enjoy your flowers next year without all the extra work in the spring. Related: 1-800-Flowers Coupons and Teleflora Promo Code. Cars (previous model year): Dealers start to get the next model year’s inventory on their lots in the fall, so getting rid of the previous year’s offerings is a top priority. Labor Day sales are an especially good time to look for rock-bottom prices regardless of whether you plan to buy or lease. Did you know: September is traditionally a great month to enter into a new lease because it’s one of four times per year that banks estimate the residual value of the cars on dealers’ lots. This is the estimate of what a car will be worth at the end of the lease. Higher residual values equal lower lease prices, and residual values are highest when they’re calculated just before the new models arrive. Jewelry: There are six months each year labeled as “gift giving months,” and September is not one of them. This puts jewelry stores on the hunt for shoppers. They’re willing to make deals, especially because September follows two other non-“gift giving months” (July and August), and they haven’t been able to move as much merchandise as they do during other times of the year. Airfare: With kids back to school and summer vacations over for the year, September is a great time to book a flight. This is especially true if you can be flexible on the day and time you travel, as long as you wait until after Labor Day weekend. Did you know: This time last year, Spirit Airlines and Vision Airlines both offered one-way fares of $1 on select flights. Not quite as low but still impressive for a larger carrier, JetBlue offered some $29 flights in September, as well. Blue jeans: Get yourself and the kids ready for fall with deep discounts on denim at major retailers. Be sure to look online and in the newspaper for coupons for additional savings. Many retailers such as J.C. Penney are already advertising sales, which will only continue throughout September and October, though the selection may lessen as time goes on. Did you know: Complete your look with sunglasses. Retailers don’t offer huge discounts in September, but the shorter daylight hours do prompt them to mark off designer sunglasses as much as 30 percent off. Office supplies: There might be a few final back-to-school sales on paper and pencils around Labor Day – especially in the Northeast where school starts later than the rest of the country – but it’s back to full retail prices for the rest of the month. If you forgot to stock up supplies for your home office, don’t bother doing it now. Cars (new model year): September is a bad time to buy the newest cars on the lot for the same reason it’s a great time to buy the older ones. The latest model year’s inventory (in this case, 2015) will never be more expensive than during the first few weeks in showrooms. Electronics: The absolute lowest prices on electronics occur during the holiday season, so you might as well wait. But if you’re determined to purchase a new TV, computer, or other major electronic device, make sure you do it during the Labor Day sales. From mid-September on, retailers will keep prices as high as possible ahead of the massive price cuts associated with Black Friday. Fall weather brings some great buys, but remember that Black Friday and the holiday season are quickly approaching. Now is the time to book your flights and take your pick of 2014’s cars. If you can, delay other purchases until sales are at their peak. Leave a comment about What to Buy in September: Labor Day Deals and September Steals? Share on Facebook "What to Buy in September: Labor Day Deals and September Steals"